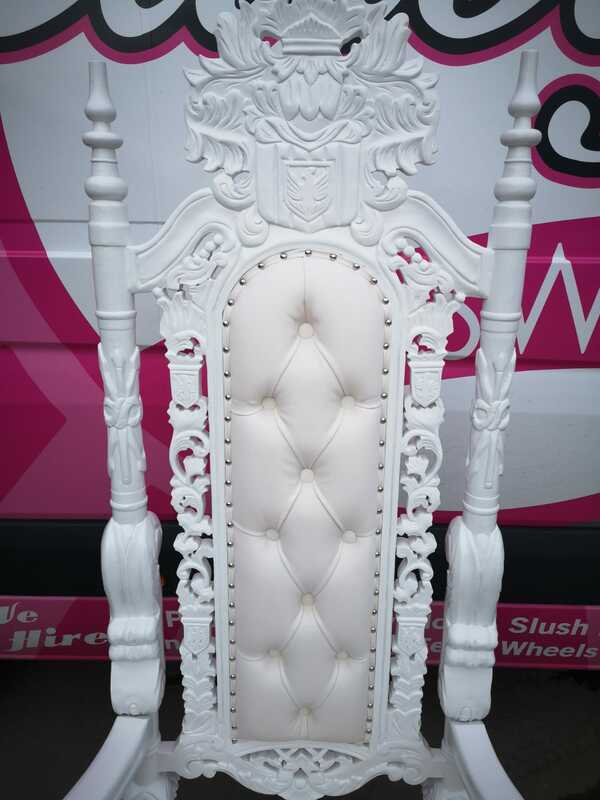 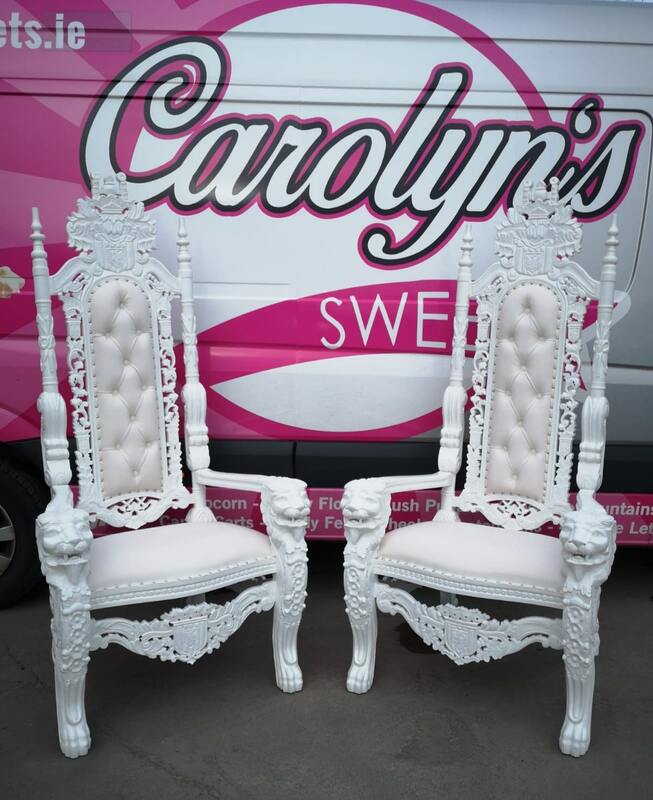 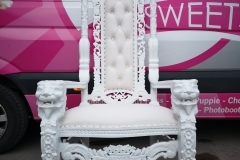 Our stunning Wedding Thrones are just gorgeous. 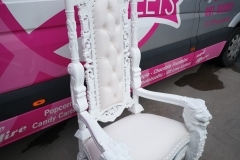 Have two of these for the Bride & Groom in the centre of the top table to ensure you get noticed and feel like the most important people in the room. 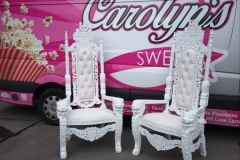 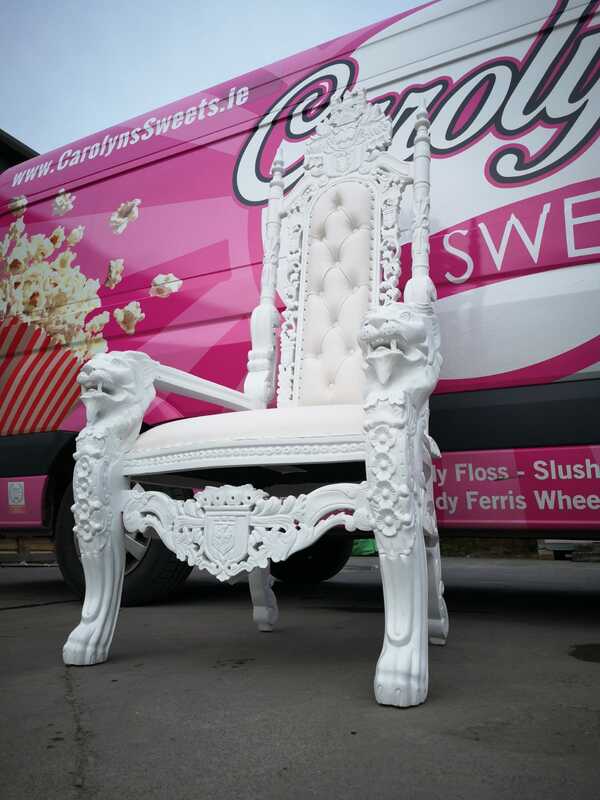 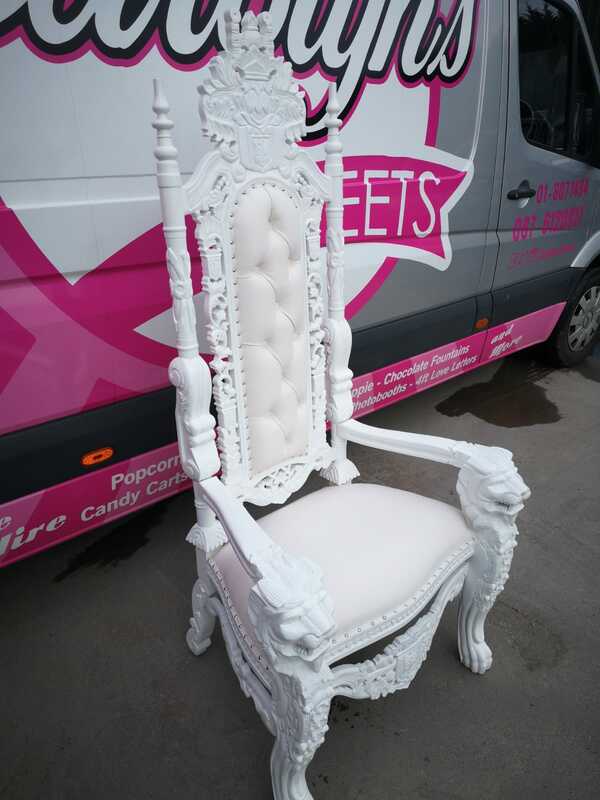 These thrones stand at 6ft tall and are incredibly comfortable. 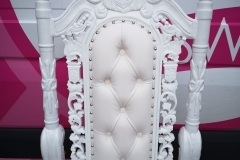 These thrones just make the room and look even better when accompanied by our Sparkle Dancefloor, Fairylight Backdrops, & Fairylight Table Skirts. 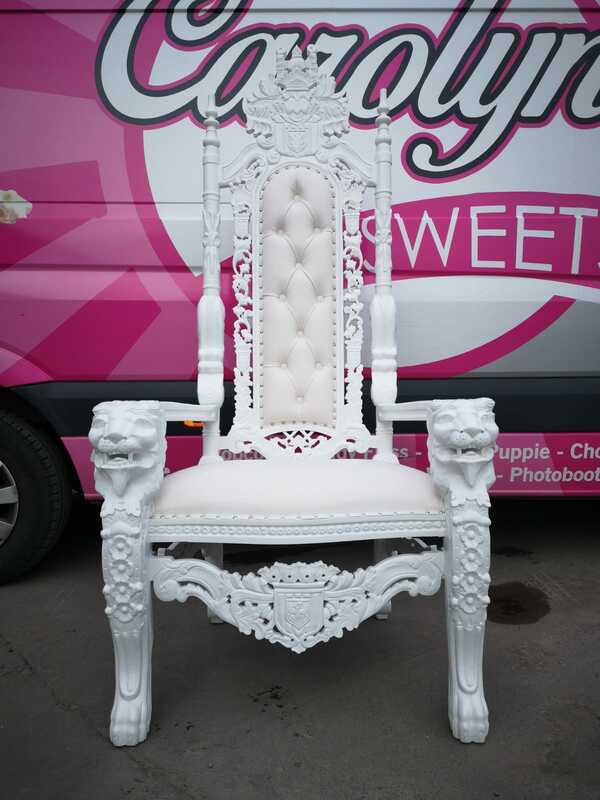 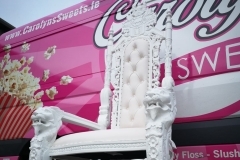 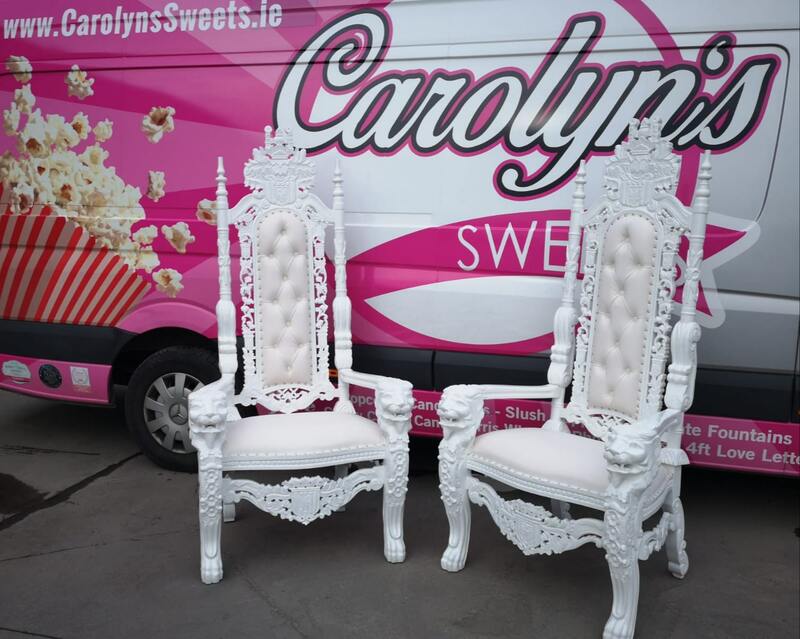 Get in touch with us now for more details on our Wedding Thrones.